I'd classify Colin Johnson as both an illustrator and an artist (it looks as if his commercial work is mainly editorial). 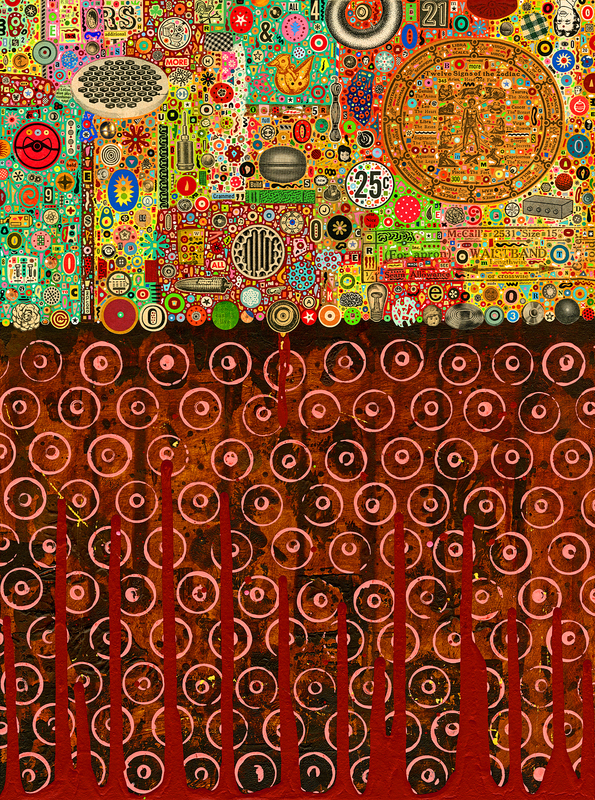 I am particularly fascinated with his intricate, small collages (check out the page sizes). There's a link below that shows the process. Some of his designs have become puzzles that probably make people pull their hair out, or jump off of bridges! Little is known about Zhikharev Eduard other than he is a "Motion Designer, Render, Compose" from the Russian Federation and Living in San Francisco. He's interested in 3d and electronics. But scroll down his blog and find some incredible visions. The Academy of Art University of San Francisco, spanning 3 decades of spectacular fantasies, Don Carson is an experienced Art Director & Illustrator in concept through production of projects including,theme park design, attraction show design, theatrical event design, computer game design, and commercial illustration. Imagine working for a client like Disney where you create the environment, and then get to actually see it come to life? Full story : Adilson Porto Jr.